I love secluded places, where one can enjoy culinary delights in the shade of trees at the end of a hot summer day, away from the bustle of the city. The places where urban enjoyment meets rural idyll. A tip, which provides exactly this, is the Restaurant First. Already the second success that mother and daughter Claire Kuhn and Sarah Hartmann have had in a short time. 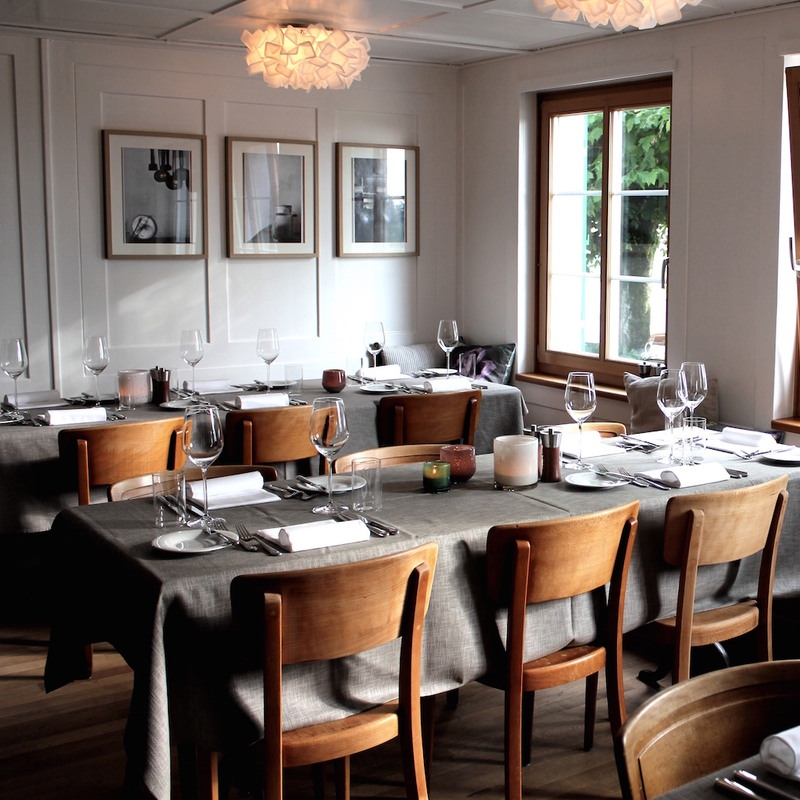 First, under the patronage of and similar to the Restaurant Camino, also stands for the philosophy of "Simple" and “Good”, which has always been the priority. "We want to get away from the artificial, sterile, and uncomfortable. 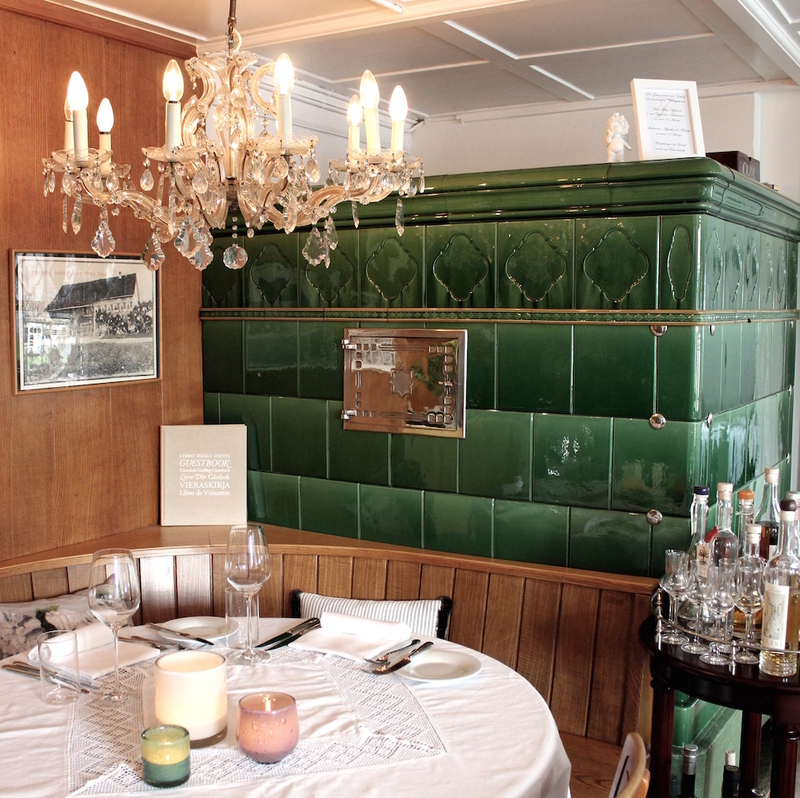 In First, as well as in the Camino, we wanted a cosy atmosphere, where guest feel especially at home and can eat exceptionally well," says Sarah. "But there’s a difference", she adds: "First is really in the countryside, where we can offer a wonderful terrace and a shady beer garden." 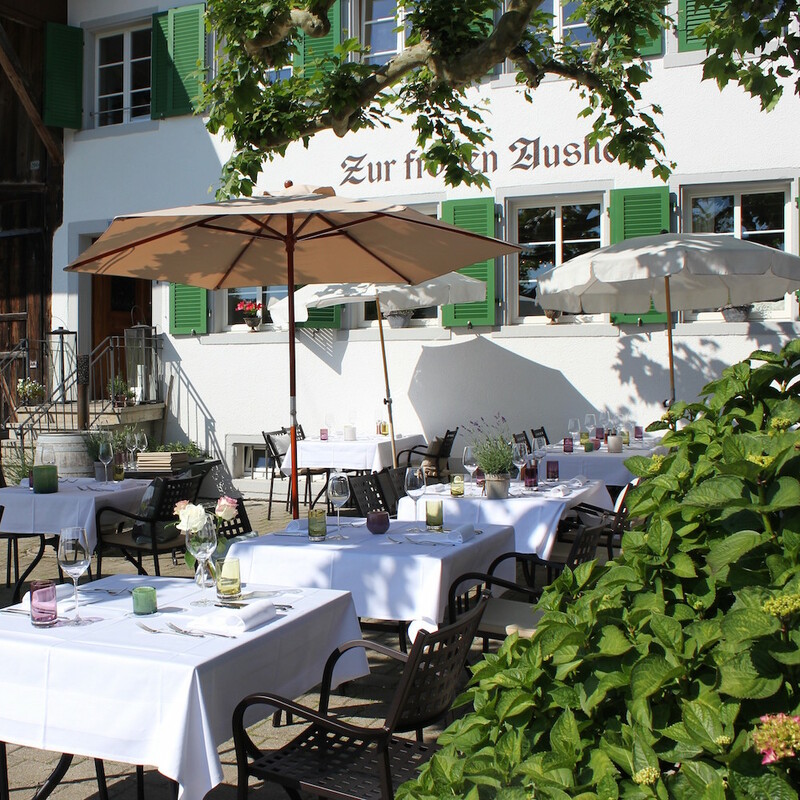 Specifically, the Restaurant First is located in Ottikon bei Kemptthal near Effretikon, the journey taking only half an hour by car from Zurich. We quickly sat amidst rural idyll in the small lounge in front of the villa and immediately forgot all about the day-to-day stress. 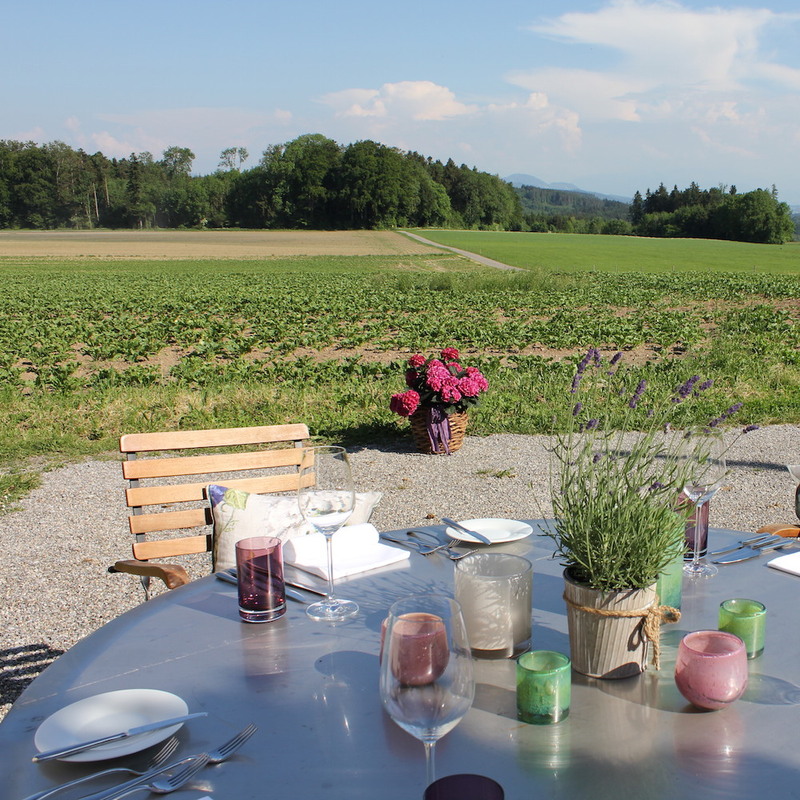 For aperitif we enjoyed - along with the sunset, the view of the Glarus Alps, and the wonderful smell of fresh hay - a Sauvignon Blanc from Weil am Rhein, a southern French Muscat from the Languedoc and an Apéroplättli of Grisons proscuitto, mortadella, and mountain cheese. Entirely enjoyable and relaxing! Following the delectable start, we sat in the shady garden and pondered the promising menu. We toyed with the idea of the optional four- or five-course menu consisting of marinated tuna, a duo of duck liver, Grisons suckling pig followed by cheeses and a mascarpone cream. But in the end we opted for à la carte choices. First of all, from the kitchen, we were greeted with a fine goat cream together with a refreshing tomato-strawberry gazpacho. Then a perfectly roasted duck liver and Foie Gras served with freshly baked brioche and a green salad with chanterelle mushrooms. Following this, the kitchen delighted us again with homemade porcini ravioli with Parmesan Espuma, and summer truffles in between, whereupon we had just enough appetite for our mains remaining. The quickly-pan-seared tuna on a lime-soy sauce turned out to be my personal favorite of the evening and my companion raved glowingly about his Irish beef fillet with truffle crust. Both dishes were accompanied by creamy mashed potatoes. The sweet conclusion for me was a cannolo with ricotta mousse, chocolate crumble and hazelnut ice cream, served as a "cigar" in an ashtray. Quite humorous, and seriously refined in taste. There is much to rave about concerning First. 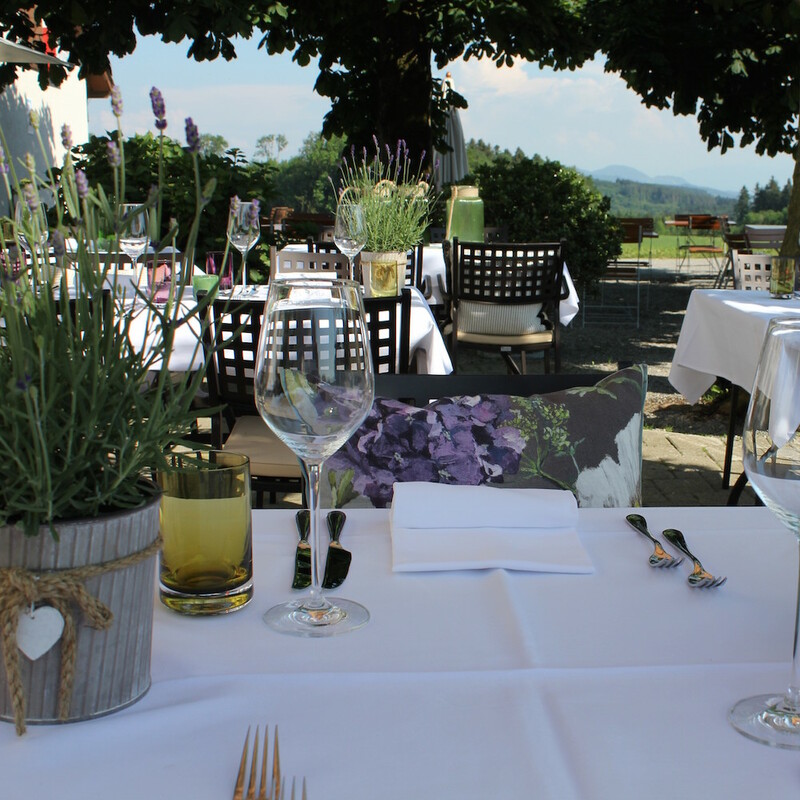 It also provides interesting opportunities for large and small special occasions in the front and back of the restaurant and in the old barn. But I recommend just to simply go once and enjoy an evening for two.